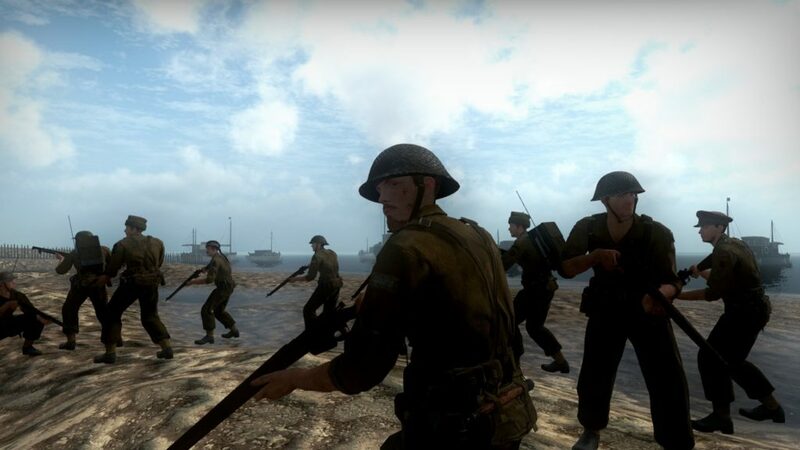 Inspired by the upcoming Christopher Nolan movie, New World Interactive is releasing its second free update for their highly-rated PC shooter Day of Infamy on July 21st. The update includes two new maps featuring the evacuation of Dunkirk and battle of Breville. “Our Dunkirk map offers a unique gameplay perspective by inverting the flow of battle so it ends on the beach instead of starting there,” explains creative director Andrew Spearin. “The Miracle of Dunkirk” was one of the biggest turning points of WWII. With the fate of the Allied forces hanging in the balance, a flotilla of civilian crafts helped evacuate 338,226 troops that were cut off and surrounded on the beach of Dunkirk, France. The update also includes another new map that focuses around the Battle of Breville; in which paratroopers from the British 6th Airborne Division successfully liberated the small village of Bréville-les-Monts in France, just days after D-Day. The battle was dubbed “one of the most important battles of the invasion”. 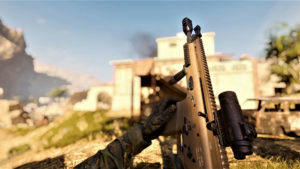 “The Breville map highlights our new foliage system while the gameplay is highly intense from extensive testing in collaboration with our community,” says Spearin. New Map: Dunkirk – The Wehrmacht push back the Commonwealth forces to the beaches as they capture the town. New Map: Breville – Allied soldiers attempt to capture this sunny French town during the invasion of Normandy. New foliage system – Grassy fields add an immersive layer of concealment to many of Day of Infamy’s maps, improving the graphic fidelity of the Source engine. The launch will coincide with a Twitch livestream on Friday, July 21st @ 12:00 EDT on New World’s Twitch channel. New World has been refining both maps with the community on the stream over the last month. Footage of those tests is available on New World Interactive’s YouTube account. 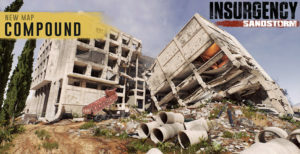 Day of Infamy started in 2015 as a mod for the Steam Top Seller Insurgency, created by the developers at New World and members of their modding community. 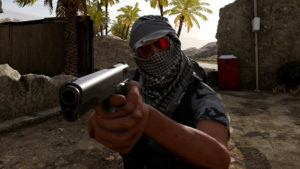 Since then, New World has worked hard to stay true to their design roots established by Insurgency, but also shaped Day of Infamy into a unique World War II shooter that can stand on its own. 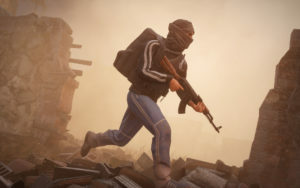 To date the game has sold over 200,000 copies and has led the WWII shooter revival. Day of Infamy is available for purchase on Steam, The Humble Store, as well as a variety of other digital PC game retailers. Supports new grass detail objects. Generated using the ‘foliage_generate’ command. Generated on any displacement surface with a ‘grass’ surface property. Switched to using a different memory allocation class to catch more memory errors. Improved the WorldGGX shader spherical area light calculations. Improved singleplayer/practice performance by letting the local server code run on a separate thread. 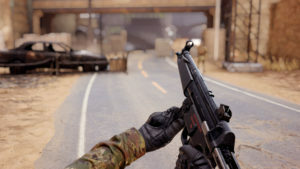 Improved Practice menu behaviour, unavailable game modes will no longer clutter the screen. 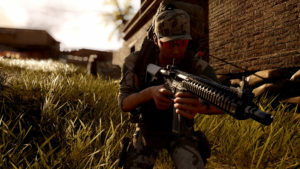 Players will now gain score and experience when they regroup with their team. Updated tanks in Crete with new Matilda model. Updated Junkers 52 in Crete (can now run out onto the wing to use as a higher vantage point). The difficulty will slowly scale up as the round goes on to improve pacing, this can be identified by a distant yelling. Firesupport is no longer called on random players, instead it will always be called on the currently held objective. Fixed a pathing bug where bots were getting stuck on the sides of objects while trying to avoid an obstacle, most noticeably on door frames. Reichswald: updated fog settings and replaced Sherman with Cromwell tank. Slightly improved a VBSP displacement error message to make it easier to debug for level designers. Replaced server command buffer execution calls in the bot code with direct calls. Switched to a different memory allocation class to improve the stability of the engine. Fixed an issue that caused maps to not always show the correct localized names. Fixed a bug that allowed players to destroy fuel dumps before they were active objectives. Fixed a crash that was caused by certain key binding combinations when using the numbered radial menu. Fixed Comacchio Raid target that couldn’t be destroyed. Improved UI panels for players that play with a 21:9 aspect ratio. Fixed an issue that caused an unlock image to show an error texture. Fixed random status report chatter from bots. Fixed numerous map environmental flaws. Fixed an issue in Dunkirk’s map script that caused certain classes to be displayed twice. Fixed a block zone in Bréville that didn’t get disabled when a team would retake C in Frontline. Updated the developer console’s font sizes and color scheme.